Give each group a different set of cards. After the groups have sequenced the cards have the students rotate groups to notice and think about the questions: What similarities do you notice? What differences do you notice? Allow students to journal their observations. 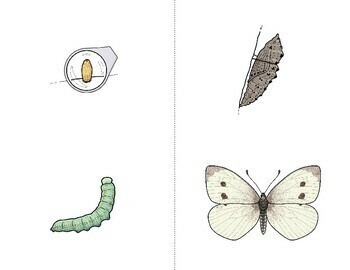 Review vocabulary with students: egg, larva, pupa, adult, metamorphosis. Give each group a different set of cards. 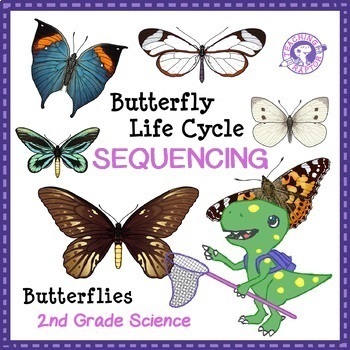 After sequencing, each student will be writing the sequence of the butterfly's life cycle. 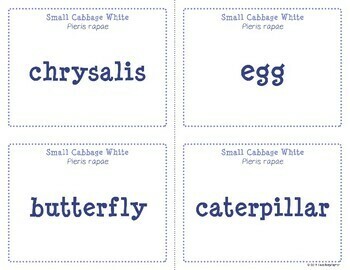 Ask them what details they will need to include so that someone that reads their work can figure out which butterfly they were describing even if they didn't include the name of the butterfly.